Well it really is about time I wrote another blog! We have been in our lovely new house for four and a half months now. Boy how the time has flown. We are still unpacking some things and only have room for just the large car in our garage. Part of the problem, is where to put things! Yes I know the saying; if it is not beautiful or useful, get rid of it. 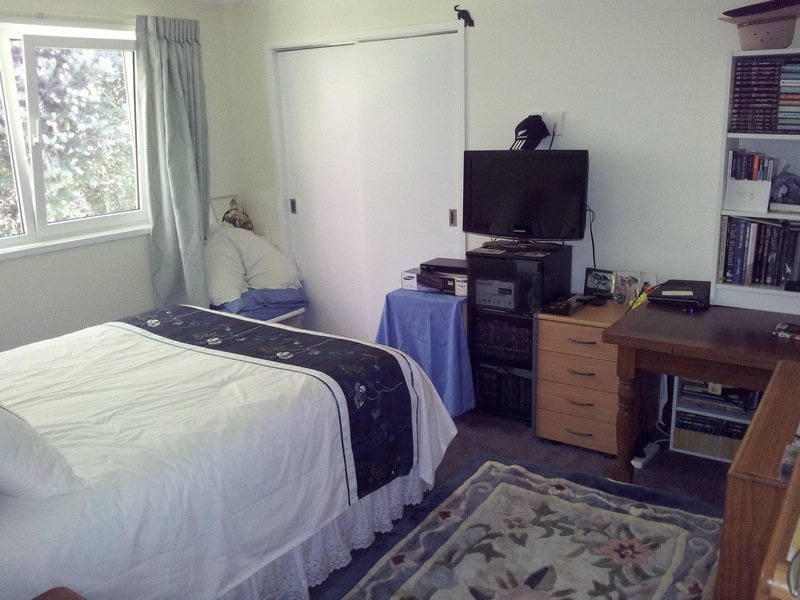 We have given away loads of things that we should have sold on TradeMe, but just didn’t have the time. 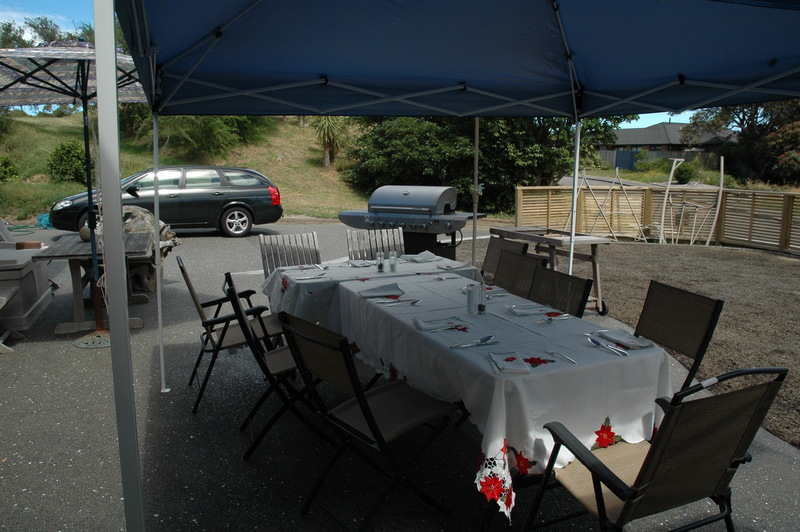 Within just three weeks of us being here, we were hosting a party for 26 adults and five children on the Saturday and the next day another 24 adults. Just two weeks after that we had 10 of Martin’s family here on Christmas Day and then 15 of my family on Boxing Day (the day following Christmas Day). All of these parties were wonderfully successful. 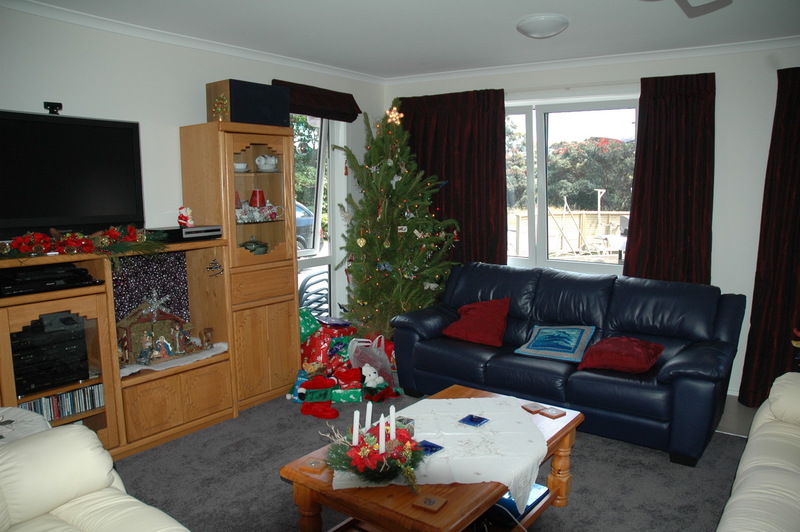 Since then we have had many more parties, and hosted more visitors than we had in about 10 years in Maungaraki!! One of the reasons I have not got around to writing the blog earlier was the fact we were waiting to give the building firm time to fix a few of the problems. Of these there were quite a few. Most have now been fixed but some have not. We are still waiting for our outdoor security lights to work properly. You are supposed to be able to override the sensor part and have them stay on all the time. But this does not work. They only work on the sensor and it’s exactly the same for all five of them so Martin thinks it must be a wiring problem. This was most annoying one evening when Martin was trying to finish something outside after the sun had gone. A few of the problems are because we didn’t have enough information on how to run things, or didn’t want to become liable for any problems that were part of the installation. 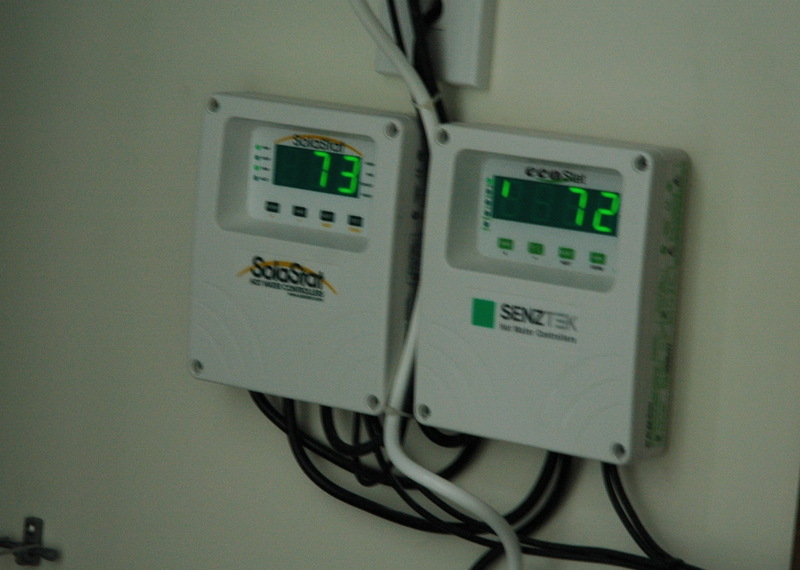 This included the indoor sensor units in the walk in wardrobe and our laundry, but we are now fine tuning these. Our oven didn’t seem to work the way it should. But that one was my problem. I should have read the instructions in more detail! Though still wonder if the oven is taking longer to get up to heat, especially as it beeps to say it is at the set temperature, even though I am sure it is not. We are still trying to sort things out and will keep track of things I bake. Because of these probelms I have ruined a few meals! Not sure if it was totally me not reading instructions properly, but maybe the oven just has to ease its way into working well! 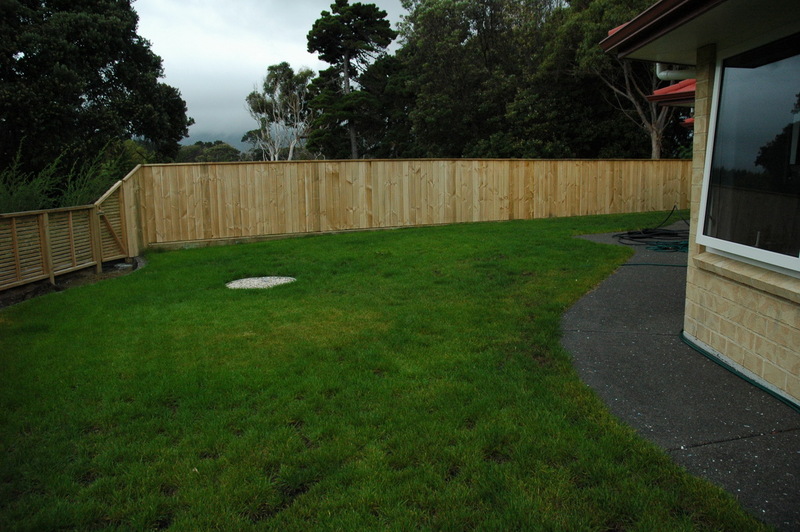 Another thing we have done since we moved in is had the lawn sown. This became a mini-disaster as we have had the warmest, driest summer for some time. Luckily we have a 10,000 litre water tank and Martin says that, if he knew then what he knows now, he would have bought a second one. In fact the whole of the North Island was declared a drought zone!! We should have left the seeding till now, but as our whole section is on sand and that was blowing through the house we just had to put down topsoil and seed the lawn. 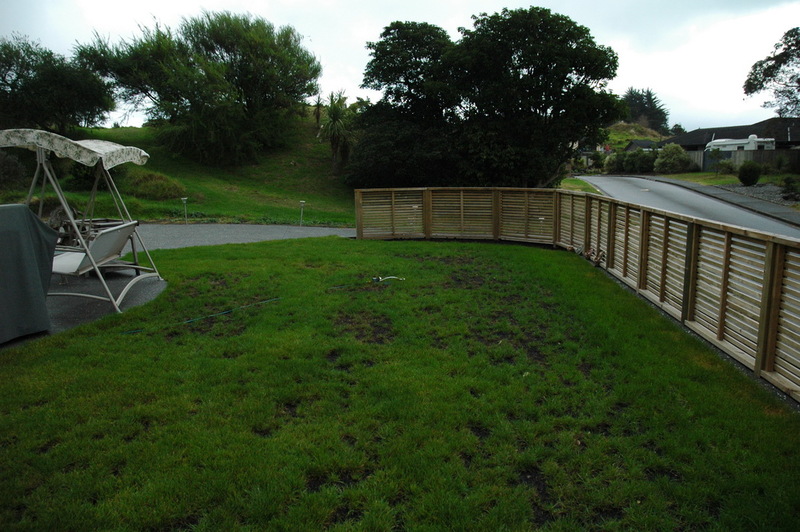 This was done using the hydro seeding process, but we were not impressed. The spread didn’t seem to be very even at all and a lot of weeds came up with the grass – but then survived the drought better. Also the ground was not prepared the way we would have liked. In the old days, you would roll the ground to get it truly level. Martin is still out there at least once a week pulling weeds, but the drought seems to have ended. However, we still have to finish the East side of the garden which means some more fences going in, and we will also be looking at getting solar PV for our electricity. 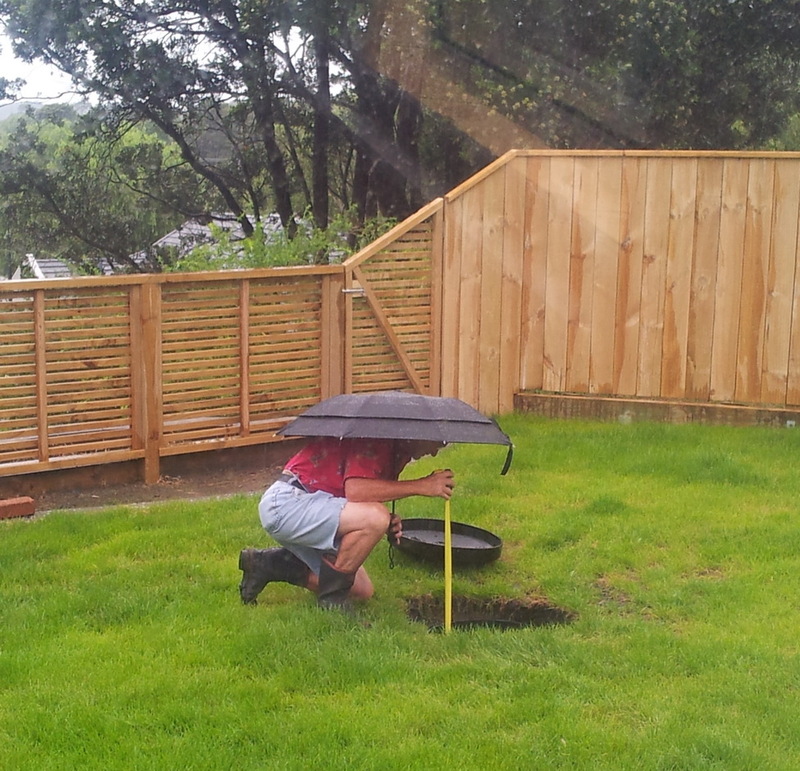 Photo of Martin checking the water tank level on a really wet day. 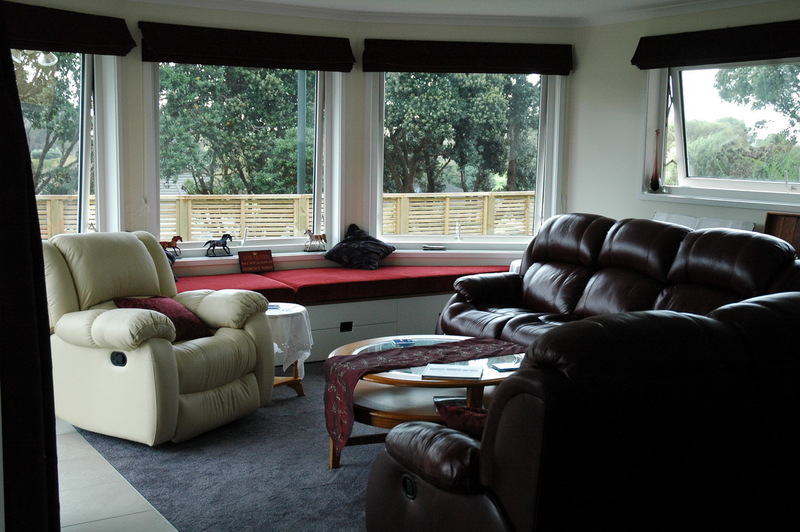 Another thing we have done is change the tinted windows at the back of the house to plain glass. Because of the trees back there and no sunshine, the back rooms were rather dark. As well as doing this we have changed the frosted glass in the bathroom and ensuite to plain glass. As we have white wooden, shutter type blinds in there, the frosted glass was just stopping you see the lovely view out of these windows. We are very happy we made these changes. 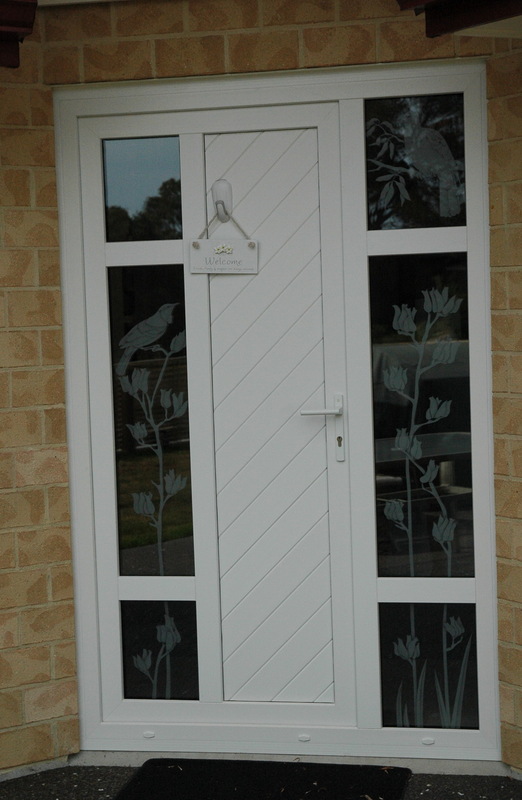 The other window change is our front door panels. These were also frosted glass and as all the other windows on that side of the house are just tinted, they looked an eyesore! Martin designed really nice etched glass for the panels. Some things we have had to let go! 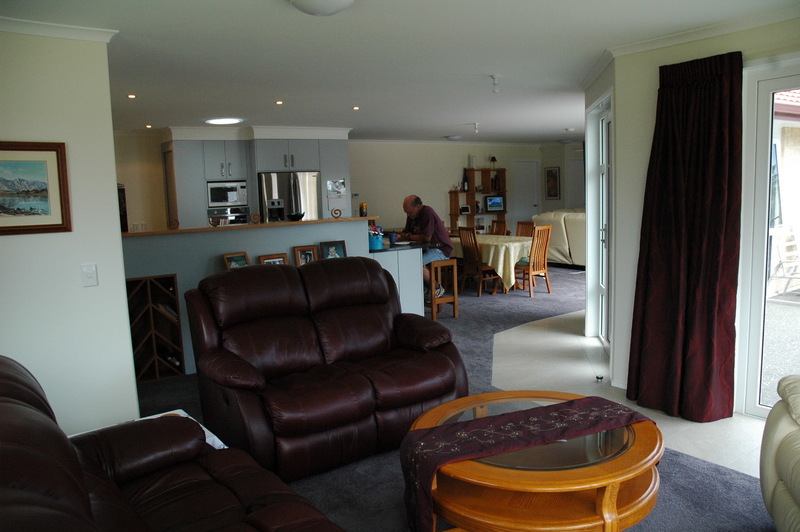 We had wanted the shelves at the end under the breakfast bar to be made in rimu, just like in our last home. We were told this couldn’t be done!!! The other thing we were told was never done was have a shelf in our oven tray cupboard. This actually means all the small oven trays fall down among the large ones and you can’t find them. But we had this shelf also in our last kitchen. One thing we have learned in this building process; is that you must mention every tiny little thing in the contract. Otherwise it will just not be done. We thought this was a standard thing, so hadn’t mentioned it. The other thing in the kitchen that we don’t like is the fact we now can’t buy a new microwave, because the width is less than the standard 600 mm . I had not ordered a new microwave as I hadn’t seen a new one that I liked as well as the old one. I have now found a good one, but it does not fit in this narrow space and it is just too late to do anything about it, other than getting a different kitchen person in to look at the problem. So we were not happy with the kitchen person at all. 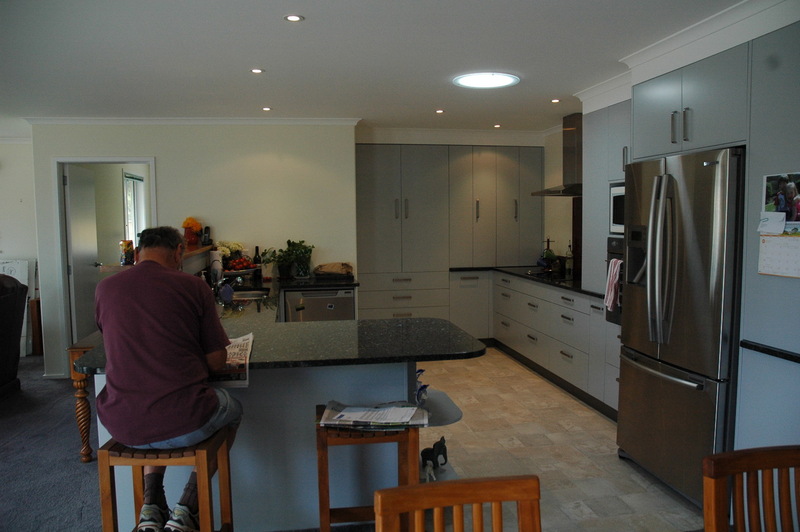 He never did give us a detailed plan of the kitchen, so the contract was based on our simple plan, which was not meant to cover all the details. Just yesterday our squabs for the window seat were delivered. That really does make the room look more finished. The colour is picking up the paler part of the red curtains. We are also having our dining room chairs covered in the same material. Our ottoman/foot stool has already been covered in that material. We are now waiting on the chairs and some tie backs for the curtains over the ranch slider and French door. 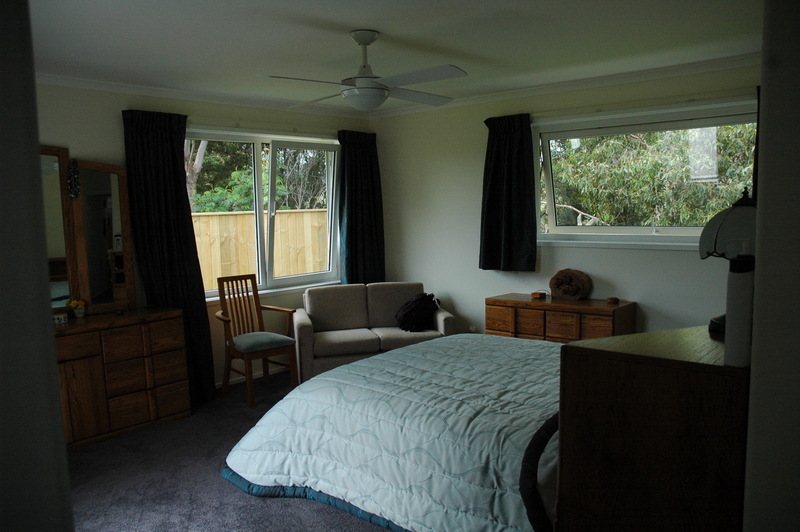 The curtains tend to blow out in the wind and get caught in the doors as we shut them. Martin and I both now feel that if we could find another beautiful section we might go through this whole process again. But this time we would choose all our own sub-contractors. When you go through a building firm, you get locked in to their people. This sometimes works, but sometimes doesn’t! If we did build again, we would keep to the same general plan and style of this house but it also has to be designed to fit in with the land that it is on. We think all the things that we planned do work incredibly well, and have this wonderful feeling of being totally at home at the same time as feeling we are on holiday. What a wonderful state of affairs!! One thing that was really hard was making decisions on all the tiny details, like specifying what taps, showers, toilets etc. There were literally hundreds of these things. The colours were also a concern. When you have a tiny sample of a colour, be it paint, carpet, lino etc, you don’t know what it will look like in actual fact. But in fact we feel all of these things have come together beautifully. I was going to end here, but Elizabeth reminded me we haven’t shown any photos of the inside of our house with the furniture in, other than the few here. Showing hot water temperature using just the solar tubes!! Well I think that is all for now. I will write more as we get some trees and things put in the garden and also get the garage tidied completely and can actually get both cars inside! 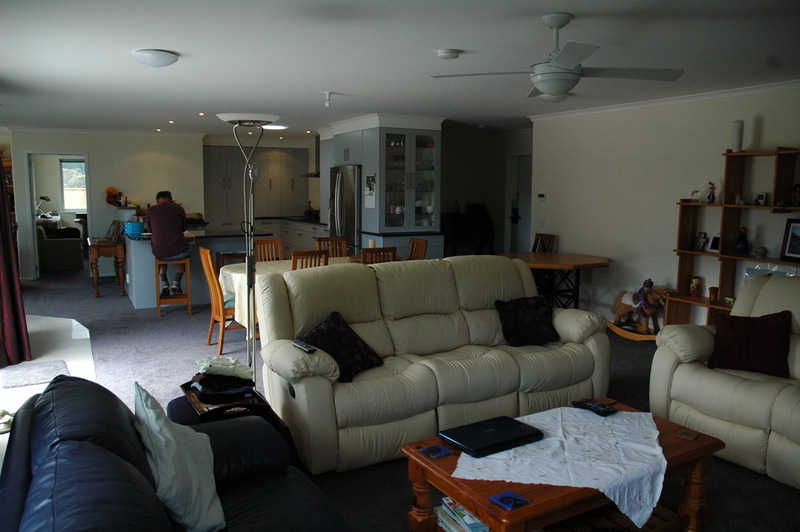 Just uploaded the latest blog entry for The Mannings Blog (on building & moving into the new house).